Our first new cat of the year! 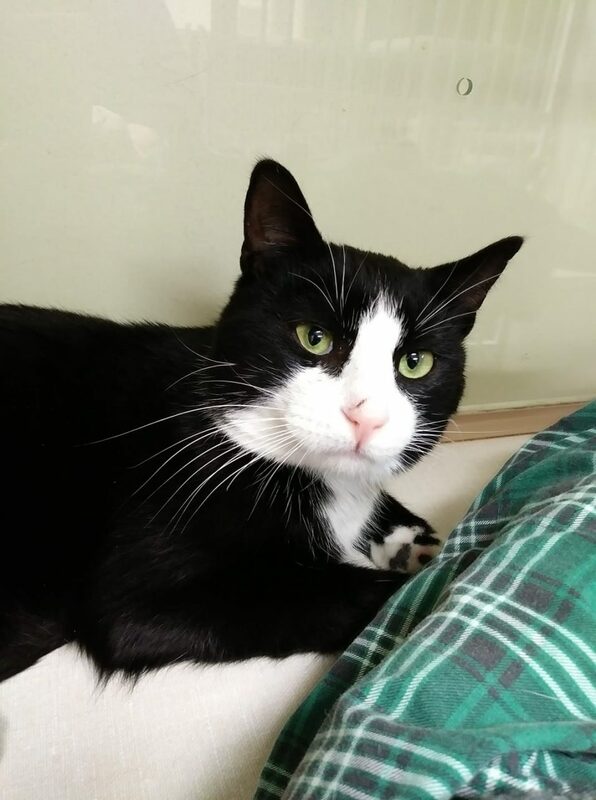 Flint is an extremely friendly and loving black and white male, sporting a full tuxedo to boot! He’s estimated to have been born around July 25, 2017. This cat was brought in as stray that was found during some severely cold weather. The shelter posted a photo with hopes of locating an owner but no owner has appeared to claim him. He has now been neutered, microchipped, and vaccinated, and is ready for a forever home. Furry Update: Mister, featured in our December 13 issue, has been adopted!